W.R. Case & Sons Cutlery Company was created around the turn of the century, during a time when pocketknives were as essential as a watch. Through the years, the company has been recognized as a leader in pioneering new materials and designs in the knife industry. 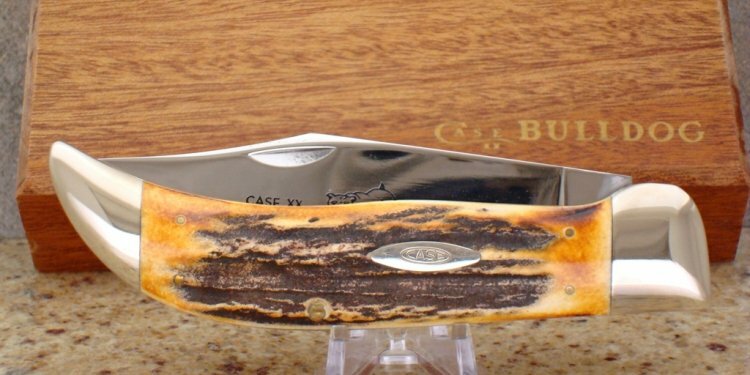 The company's roots extend back to 1889, when a few enterprising brothers 'William Russell (W.R.), Jean, John and Andrew' in the Case family began selling handcrafted knives from the back of a wagon in upstate New York. In January 1900, the brothers incorporated to form the first Case family brand, Case Brothers Cutlery Company. J.R. Case, who named the company after his father, W.R., formed W.R. Case & Sons as it is known today. By the time the company moved to Bradford, PA in 1905, the four Case brothers had established their family brands as the most respected names in American cutlery. Beginning with World War I, the government has called upon Case to make military knives for U.S. servicemen and women. During the 1965 flight of the 'Molly Brown, ' astronauts Gus Grissom and John Young used special Case knives on a NASA space mission. Case has garnered famous admirers and avid collectors such as former U.S. President Dwight D. Eisenhower and country music star Randy Travis.